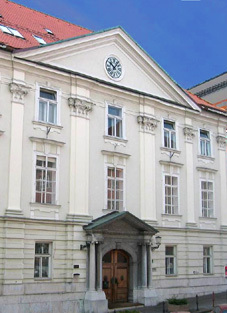 The predecessor of the Slovenian Academy of Sciences and Arts, the Academia Operosorum was founded in 1693 in Ljubljana. The Academy, renewed in 1779, was oriented towards enlightenment, with an emphasis on critical rationalism. The present-day academy was founded in 1938. Interactive map of the venue. Walking path from the Hotel Mrak (2 min) and from the Grand Hotel Union Executive (6 min) to the SASA. Ljubljana is easily accessible by all means of transport. Ljubljana has direct connections to Vienna in Austria, Trieste and Venice in Italy, Budapest in Hungary, Zagreb in Croatia, and other European cities. Ljubljana's main train station is within an easy walk to the city centre and the meeting venue. Ljubljana international Airport Brnik, situated 25 km northwest of the city is connected with all major European cities and airports. For intercontinental flights we recommend a connected flight via Frankfurt, Munich, Zurich, Vienna, London, or Paris. Alternatively, the general shuttle van service and bus to the Ljubljana is also available at the airport. Visit the website for more detailed information. The public taxi rank is right in front of the terminal. A fare from the Airport to Ljubljana City is approximately 40 EUR. For reservation or more information visit this web address. Ljubljana has a climate influenced by its situation in a large basin, surrounded by sub-Alpine and Karst regions. Average temperatures in August are 14°C at night and 26°C during the day. Over 50% of the area of Slovenia is a forest. Language: Slovene; also Italian and Hungarian in nationally mixed areas. 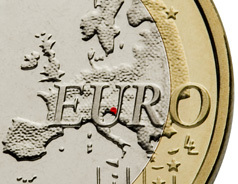 EU member since May 1, 2004. Slovenia is a diverse country between the Alps and the Mediterranean. You can ski in the morning and enjoy the Adriatic Sea in the afternoon. Slovenia has countless vineyards with top quality wines, Carst region with numerous caves, Pannonian hills and plains, and the only primeval forest in Europe.